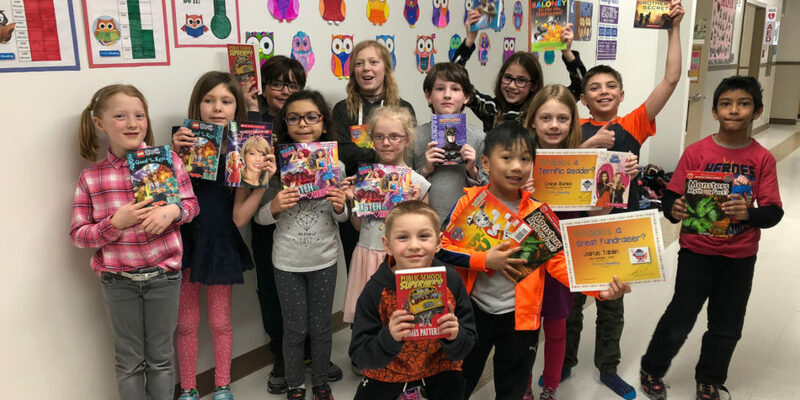 Fifty-six elementary students participated in the Swan Hills School Whooo’s Reading Read-A-Thon during February. Division One (Grades 1-3) and & Division Two (Grades 4-6) were equally represented, with twenty-eight students each. Read-A-Thons are an effective way to motivate children to find time each day for reading, a good practice that develops reading skills and helps foster a love of reading. Family members sponsored students to encourage them to read as much and as often as they could. Students were rewarded for minutes read, how many days in a row they recorded their reading, and for each email to a potential sponsor. They enjoyed accessorising their ‘Owl-vatars’, earning ‘wisdom points’, challenging each other, and commenting on one another’s books. 11,472 minutes were logged by our readers during the month. That’s over 191 hours or eight twenty-four-hour days! Thirty of the fifty-six participants raised nearly $2000, which will go to elementary field trips, divided as raised by each division: seventy percent to Division One and thirty to Division Two. Chloe led the reading with 1489 minutes or nearly twenty-five hours, and Jairus led the fundraising, bringing in $300 in sponsorships. Jairus also came in among the Top-Ten readers with 843 minutes! Other Top-Ten readers were Sahil, Iten, Brock, Owen M., Anna B., Darbie, Quinn, and Serenity. The other nine Top-Ten fundraisers were Dorothy, Darbie, Terry, Jesse F., Zenon, Hailey, Brock, Serenity, and Aria.